When you hear the word Sinai, you probably think about how ‘unsafe’ it is! Well, you can’t be more wrong! Yes, there is some turbulence and political tension happening, however, that’s in the northern region! The Asia-based Egyptian peninsula has a capacity of 60,000 square km, and only part of it is disturbed. South Sinai on the contrary, is as vibrant and heavenly as ever, and the best thing about it, it’s almost everyone’s cup of tea! Whether you’re a party animal, an adventurer, a family guy, or you’re just chill, this place is definitely for you. As I would proudly call myself a travel expert, I thought it would do no harm to give my viable two cents to all the Sinai first-timers out there. Here’s a complete guide on what to expect and where to get started if you decide to ignore the stereotype and pay a visit to the ‘so-called danger zone’ that I personally perceive as heaven on Earth. Before we get started, what are your transportation options? For transportation, you actually have several options. One, simply hit the road, Jack, and take your own car! I mean, a road trip is always a great idea. If you don’t drive or you’re driving solo and looking for some company, then the Facebook group, Dahab<>Cairo – Carpooling, is an ideal solution. Another option is to rent a van from a travel agency or an automobile rental company. However, for his option, you need to be traveling with a group of friends so you could split the expenses. There’s also the safe option, the bus. Why bother yourself with a car or a driver when you can simply book a bus ticket? There are three providers that operate there; Go Bus, Blue Bus, and East Delta. My personal favorite that I’d highly recommend is definitely Blue Bus. Better drivers, better customer service, and most importantly, a comfier ride. The eight-hour ride to Dahab can be hell if you don’t have the luxury of a comfortable seat! Last but not least, there’s always the option of booking a flight to Sharm El Sheikh’s airport. Unlike the rest of the travel destinations around Sinai, Ras Sudr is the closest escape plan as it’s two and a half-hour drive only from Cairo! Perfect for all kinds of people, the beach town has a special essence that’s nothing like the rest of the peninsula. Ras Sudr is mostly known for being the perfect spot for kitesurfing. Yes, Hurghada and Dahab are quite known for that too, but no place in Egypt can compare to Ras Sudr when it comes to this water sport. The lagoon’s flat waters provide the perfect condition for learning or practicing new tricks. Soul Kitesurfing Center offers courses for all levels. Not just that, the place is also the perfect retreat for yogis; there are several yoga classes throughout the week. There’s also 360 Sudr, another spot that’s not just known for kitesurfing courses, but for wakeboarding as well! If you’re more of a night owl, Ras Sudr is also for you; the party scene there is as fun the day scene! 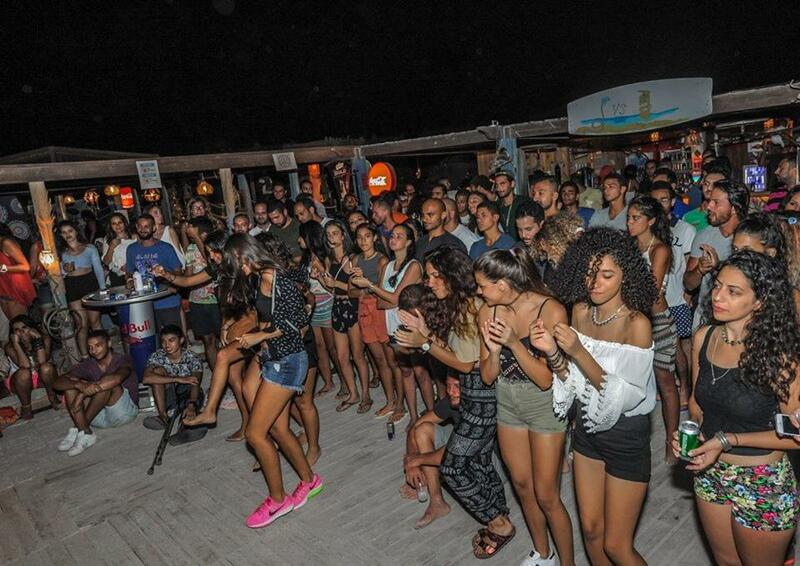 Unlike the overpriced and the super far Gouna, Ras Sudr also brings you party animals cool events every now and then. The resorts where you’ll be staying or even the kitesurfing centers hold to die for events constantly. So, where to stay? There are several resorts where you can place reservations for a lovely room or bungalow such as La Hacienda, Bayside, or Matarma Bay. If the lush resort life is not your thing, Airbnb is your best bet! You’ll find very affordable accommodation options, that’s for sure. For the avid hikers, this ancient city is for you! At an elevation of 1,586m, the mountainous area is home to Egypt’s highest summit, ‎2,629m Mount Catherine. If you’d like to up your hiking game, then the three peaks challenge is a must. 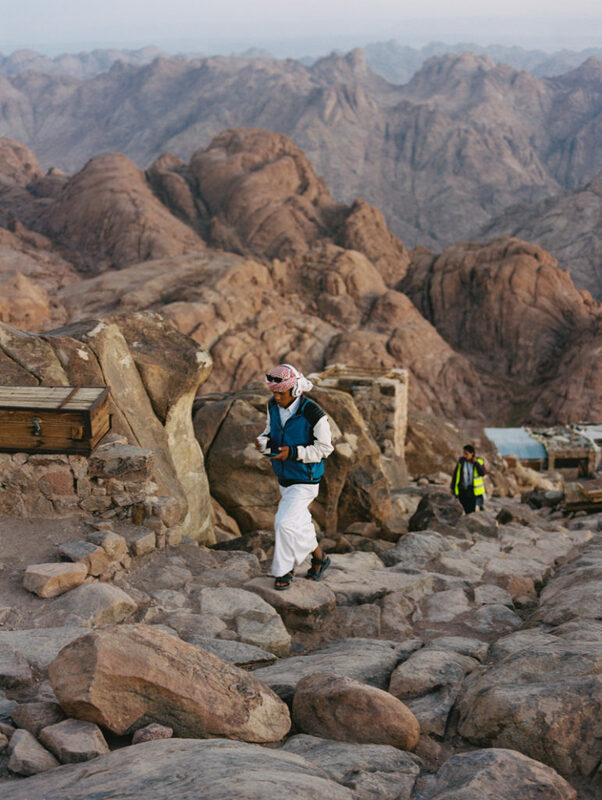 Before embarking on the Mount Catherine adventure, hike Mount Abbas Basha that stands at 2,383m and Mount Sinai; where it’s claimed that Moses received the 10 commandments, that stands at 2,285m. 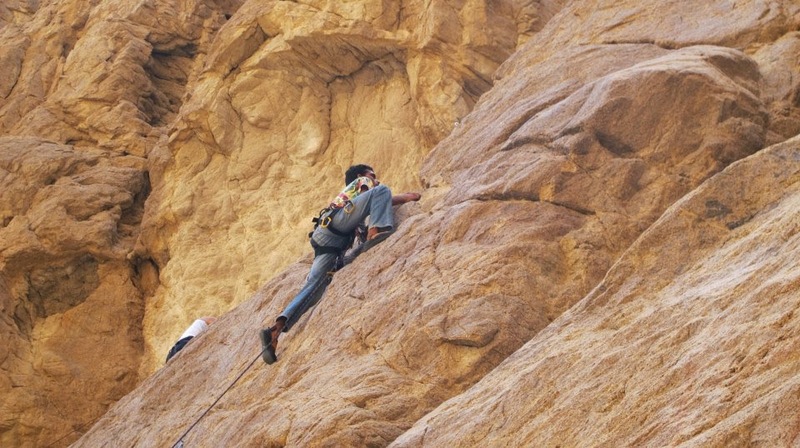 The challenge is probably Sinai’s toughest mountain trail as you’ll have to cover a total distance of 38km, with more than 5,000m of ascent and descent. In addition to that, nature in Saint Catherine is breathtaking. The surrounding canyons you’ll stumble upon are definitely something that’ll please your eyes. Overall peace and tranquility? That’s a sure thing! And of course, it goes without saying that the city is home to the renowned Saint Catherine’s Monastery. Located where God is believed to have appeared to Moses in the Burning Bush, this is a must-visit if you’re up for some sightseeing on the way. Saint Catherine is perfect for a day-trip thanks to its strategic location precisely in the heart of South Sinai. It’s around an hour and a half drive from either Dahab or Nuweiba. If you’re stopping by Saint Catherine, don’t miss nature’s goods its famous for; almonds, olive oil, and honey! One thing we assure you that you’re going to fall in love with is the people. The Jebeliya tribe, Arabic for ‘the people of the mountain’, are generous, hospitable, and kind. Get to know more about them here. You don’t necessarily have to visit Saint Catherine for that sort of adventure. Volunteer work can be an adventure on its own as it’s life-changing to both you and the people you’ll be offering help to. If you ever feel like doing good and giving back to a community in need, don’t hesitate to check Catherine Exists out. This heavenly beach town is mostly known for its laid back hipster vibes. Believe it or not, this is the mainstream cliché version of Dahab. Forget about Everyday Café, the Blue Hole, and Jebel Al-Towaylat, because Dahab is more than that! Dahab is, in fact, where all the action takes place. If you’re an adventurer at heart, then this destination was definitely tailored for you! Go camping at the out-worldly Blue Lagoon, go hiking or rock climbing in Wadi Gnai, or simply dive in the pristine waters of the Red Sea. For such off the beaten track adventures, Homadventures is surely the ultimate service provider. The Dahab-based adventure consulting agency has everything to offer if you’d rather get high on adrenaline. Another plus is that the company also offers excursions and trips to other travel destinations all over Sinai and not just in Dahab. So, where to stay? The town has a wide range of accommodation options. You can choose to stay at a 5-star or a 4-star hotel like Le Meridien, Tirana, and Jaz Dahabya, but then you’ll compromise proximity to the center. If staying in a lively neighborhood is a priority for you, then you can stay at cheaper, yet decent, options like Dahab Divers, ElSalam hotel, or Club Red. If you’re traveling with a group, then be smart enough to rent an apartment; Airbnb is full of endless options! Where to eat? Dahab is luckily home to a diverse population making it a destination for a variety of cuisines. If you’re a fan of Asian, Chinese, in particular, then Box Meal is the place for you. For authentic Italian delicacies, then a quiet table on the sandy shore at Dai Pescatori would be perfect, or maybe you should pay a visit to Ramez and Paula. Red Cat is the restaurant to check out if you’re up for a European variety, while Friends has the best steak! Last but not least, you shouldn’t miss King Chicken for the best veal kebabs and mouthwatering oriental cuisine! Just try to make it before 4 pm if you don’t want to get stuck on the waiting list. In case you’re up for some relaxation, then this one’s for you. It’s just you, the beach, the mountains, the sun, your music, or even better, nature’s silence. Head to an isolated camp in Nuweiba and disconnect from the hustle and bustle of the world outside. It’s a vacation to die for that also happens to be a little bit extra budget-friendly! Where to stay? I highly recommend Dayra Camp in Nuweiba for its chilled, yet vibrant, atmosphere. The place offers a variety of artsy workshops every and kickass music events every once in a while. There’s a professional tattoo course taking place next month; check it out here. In case you’re a free spirit aiming for more simplicity, then Basata is your place to go! Egypt’s first eco-lodge is everything you need for a perfect escape. 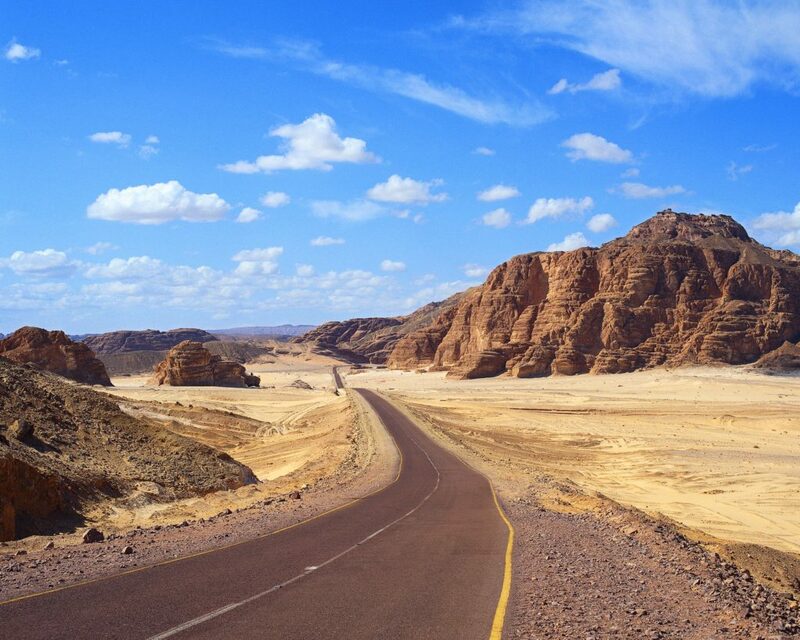 Also perfect for a day trip from Nuweiba, Taba is a great destination to bring out the tourist within. The Pharaoh’s Island is a must-visit that you need to check off your bucket list. If you still haven’t seen the famous Salah El Din Citadel that’s located in the middle of the crystal clear waters of El Aqaba gulf, then this is your chance. If you’re aiming for a resort experience where you’d like to spend the night, Taba Heights is a great choice! With picturesque backdrop of nature’s finest creations, you’ll definitely have the time of your life spending time at this lush destination. WE SAID THIS: Sharm is just too cliché!